At the beginning of this year, the French public health authority presented new recommendations for adults on diet, exercise and avoiding sedentary lifestyles. Simpler, more practical and more accessible, the guidelines aim to help everyone to make better choices about their diet and adopt a more active way of life. The good news is: vegetables are at the heart of this new reference document! 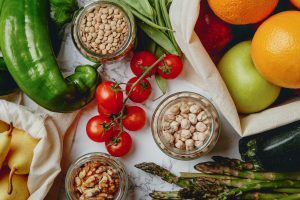 The new features include the place allocated to certain foods such as pulses, nuts and whole grains, attention to the environmental impact of diet and a focus on simplified nutritional information. These new messages will be communicated in 2019 in the PNNS 4 (the French national healthy eating programme) to enable the entire population to benefit from them. Obesity, malnutrition, climate change. These are the challenges that will face populations all over the world in the coming decades. This is also why dietary guidelines need to develop accordingly. So, it is no surprise to see that these new guidelines for France have been publicised almost simultaneously with Canada’s new Food Guide and publications containing dietary recommendations aimed at providing the world with healthy food in 2050, from the EAT–Lancet Commission. Our article about how dietary guidelines are developed? Almost half of French adults are overweight or obese (a third are overweight and 17% are obese), in comparison to almost 18% of children aged 6 to 17 years old. This situation has not changed for 10 years. Certain social inequalities have increased in recent years, leading to a reduction in the quality of the least educated people’s diets (specifically an increase in high-sugar products among women). The French still do not do enough exercise, and sedentary lifestyles are widespread among adults and children living in metropolitan France. This situation is worsening, especially among women and children over the last ten years. So, the time was well and truly ripe for new dietary guidelines, all the more because since the first “nutritional benchmarks” were created in 2001, knowledge about diet and exercise has moved on. 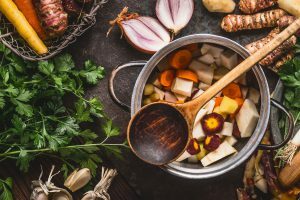 Is a sustainable diet a realistic goal in today’s world? The idea is to give broad guidelines rather than quantified goals. Formulating things in this way is perceived as less restrictive. The guidelines encourage progressive change at everyone’s own pace. For the first time, the recommendations also include the issue of the environment, advising a move towards seasonal fruit and vegetables, locally produced food and, if possible, organic food. Finally, the recommendations encourage people to exercise more, as well as reducing the amount of time they spend sitting down during the day. In fact, individuals can be both active, which means that they do sports or take exercise according to the recommendations, but also very sedentary, i.e. spending a lot of time sitting down, often for long periods, in their daily life. Yes, you can make children love vegetables! It is recommended to eat at least 5 fruits and vegetables per day, whether they are fresh, frozen or canned. If you eat less of them, remember that even a slight increase in your vegetable and fruit consumption is good for your health. If you can, go for organic fruit and vegetables. To enjoy the best taste, go for seasonal, locally grown fruit and vegetables. Fruit juices are very high in sugar and low in fibre. If you do drink fruit juice, you are recommended not to drink more than one glass a day, and it is better to opt for freshly-squeezed fruit juice. Do you like dried fruit: dates, raisins, dried apricots etc.? You should only eat them occasionally, because they are very high in sugar. As well as fruit and vegetables, it is recommended to eat a small handful of nuts every day, because they are high in omega-3: walnuts, hazelnuts, unsalted almonds and pistachios etc. Pulses go well with fish, poultry and other types of meat. They can also be used to replace poultry and other types of meat. In that case, it is advisable to combine them with a cereal product such as a salad of kidney beans and sweet corn, couscous with chickpeas or lentil curry with rice. Pulses are naturally high in fibre and contain vegetable proteins. If you can, go for organic pulses. How are today’s dietary guidelines developed? 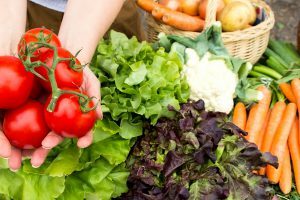 Are Organic Vegetables Better for Your Health?